Normally, all the junk mail we get goes straight to the trash. Not these things we got in our mailbox yesterday though. 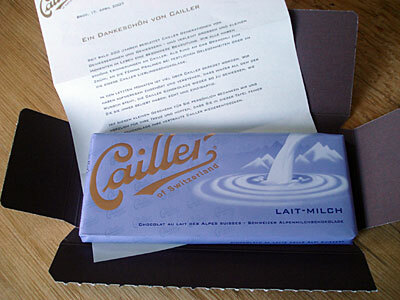 These are two full-size bars of Cailler (Nestlé) milk chocolate. No messing about with tiny sample sizes here. 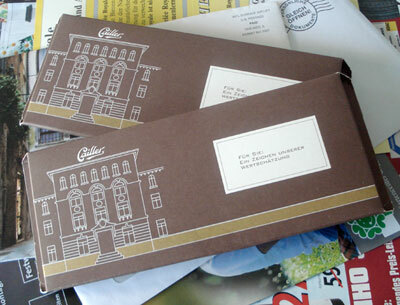 Last year, Nestlé messed up things royally by changing the packaging of their Cailler chocolate bars. The re-purposed packaging was bulky, made of plastic, and design wise didn't do much for most people either, despite the fact that it was designed (with much fanfare) by a French architect who was a buddy of then-CEO Nelly Wenger. In Switzerland, trash disposal is a big issue. For one thing, people have to pay for official trash bags (which are tiny by U.S. standards) to put their garbage out in, otherwise it's not collected. Plus, even in the big cities like Zürich trash is only collected at the most twice per week - in most places it's just once a week. Rules and regulations for disposing of different kinds of trash are quite complicated too. That means that everyone tries to squeeze and compact their trash down as much as possible, and also tries not to produce much. In light of that, putting a simple chocolate bar in a bulky clear plastic casing instead very compactable paper just rubbed a lot of people the wrong way. The result of the repacking was a disaster. They lost a huge percentage of the domestic Swiss chocolate market to rivals like Lindt and Frey. 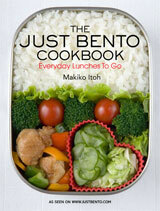 Then, they had to backtrack on everything and re-re-design their packaging. Nelly Wenger has since retired, ostensibly for health reasons (she had cancer), but people still speculate that the packaging fiasco pushed her towards the exit door. But anyway, I guess now they are trying to woo back the consumers. I'm all for free chocolate, so woo me away. The soft-sell worded letter accompanying the chocolate wanted to just let us know that the 'recipe for this Cailler Milk Chocolate has not changed since 1904'. Good to know. And the new packaging is nicely understated, and more importantly, made of plain, scrunchable paper. I have to say though the Cailler Milchschokolade is a bit too heavy on the vanilla for me. There are so many varieties of just plain milk chocolate bars in Switzerland that one is just spoiled for choice. Submitted by maki on 2007-04-20 09:53. Hey, where's my free chocolate? I've been getting this last comment about the banning of chocolate in Switzerland all over my blog, http://www.lifebychocolate.blogspot.com, anyone care to comment? I had spam protection up, I thought. Perhaps time for comment moderation. Personally, I use almost exclusively Felchlin chocolate. Peter's white chocolate is the best in the world while Felchlin has the best milk. For dark, it depends on what you are doing. But I simply love the service I get from my importer. It's expensive but Felchlin is simply the best. I am considering using El Rey. It's an odd chocolate. The flavors are very distinct. I'm still trying to figure out what to do with it. Right now, I'm making bark with it. It's the best with fruit and fruit and nut barks. It was all kinds of fun. Mark, the math question thing is a module for the CMS that is used here (Drupal) - you'd have to look around to see if something similar exists for Blogger. Good luck with your chocolate store! Looks very nice indeed.